"Words fail to express my total satisfaction with your company. My daughter was selling her 10-year-old Rolex watch, which she had hardly worn in the last 6 years. I decided to buy it for my wife, however I wanted to make sure the Rolex was in perfect shape. I took the Rolex to the two authorized Rolex dealers in Western New York, and asked what the price would be to refurbish the watch. One dealer wanted $500 plus parts and the other wanted $800 plus parts. I asked where the refurbishing would be performed, assuming the answer would be at the Rolex factory In Switzerland, both dealers informed me that they had employees who were trained as Factory Authorized Repair people. At this point, I went on the interned and did a search for Rolex Watch Repair and found your company. The watch looks like new and the cost was significantly less than the Rolex Dealers wanted. 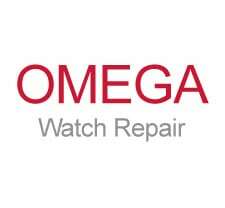 You handled all shipping issues.During our Rolex discussions, I asked you about repairing a vintage Omega Electronic f300hzChronometer that my wife had purchased for me 30 years ago as a Christmas present. I had sent this watch to an Omega Service Center in New York 4 years ago. They informed me that they could not repair it and they would send it to Switzerland for a repair estimate. The estimate to repair was $1200. I declined and the watch was returned to me. You were not very optimistic about repairing this old movement and mentioned that I might want To consider a quartz movement installed in the case. You have no idea how happy I was when You informed m that you had located a new, identical replacement movement for my Omega.You brought this watch back to life and made it look almost new for 30% of what the Omega Repair organization wanted.Jeff, thanks again for an outstanding job on these two watches. Please feel free to use me as A reference in whatever way you chose.With much appreciation,"